At age 11 I convinced my parents to allow me to learn Martial Arts, they enrolled me in Tae Kwon Do where I achieved my first black belt in 1977. In 1979 I joined Cheng's Hung Gar Kung Fu School in Philadelphia where I received the rank of Sifu. I wanted to learn more so I joined Tang Soo Do, after receiving my black belt and competing I wanted to start teaching while continuing to learn more myself. My background includes Korean Karate and Southern China Kung Fu. 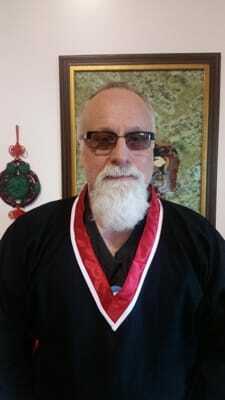 Currently I hold the rank of 6th Degree Black Belt in Tang Soo Do as well as Sifu in the Hung Gar Kung Fu System. I am Founder and Chief Instructor of World Martial Arts Academy, where our mission, since opening in 1999, has been to provide a well-rounded martial arts program in which all can learn. I strive to teach my students the value of dedication, respect for others as well as themselves, rigorous training and attention to detail. We primarily teach our students Tang Soo Do, both traditional and sport, as well as self-defense and Jujitsu. We also hold separate classes for Hung Gar Kung Fu. Our students range from age four to adults. We have promoted numerous students to black belt. It typically takes five to six years to achieve this rank in our school. A while ago, I traveled to Hong Kong to participate in a tournament and a demonstration with my Kung Fu School. We were able to see and participate in many of the traditional forms that originated within that system. I was also able to visit temples and see the history behind many of the stories we were told. It was truly a great experience and I was able to share all of this with my students when I returned.